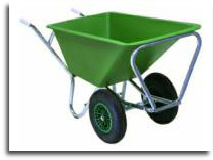 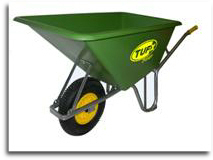 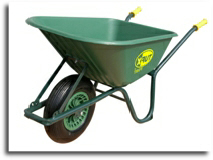 TUFX-FORT is the forerunner for big-volume agriculture and construction wheelbarrows. 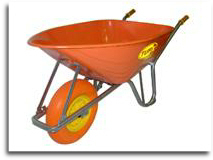 All models have a metal frame and a durable poly bucket, which makes these wheelbarrows ideal for carrying soil, concrete, and manure. 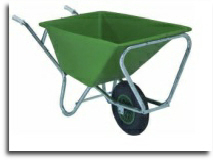 FORT wheelbarrows are made for using, day after day.What matters is reliability and efficiency. 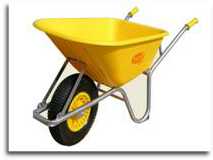 And a quality that keeps the product in service for a very long time. 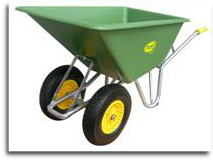 Well thought-out shapes and engineered constructions ensure ergonomic handling and a high load capacity, as well as maximum sturdiness at a relatively lightweight per unit.